Achieving Canada’s long-term greenhouse gas (GHG) reduction targets likely requires widespread adoption of zero-emission vehicles (ZEVs). While some ZEVs are already available in Canada, strong policies are needed to induce a substantial transition to low-carbon mobility. Consequently, various levels of government in Canada have begun implementing policies to support ZEV adoption. 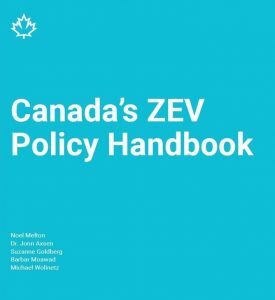 The purpose of the ZEV Policy Handbook is to help stakeholders understand what ZEV policies are available, and to evaluate these policies according to several criteria in light GHG reduction targets. Click the image above to access the two-page research brief. 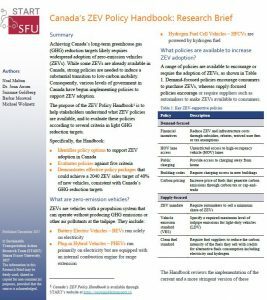 Click the image above to access START’s webpage to find Canada’s ZEV Policy Handbook. Download the two-page research brief or the full Handbook.